One does not simply go into combat without the essentials needed for the fight. 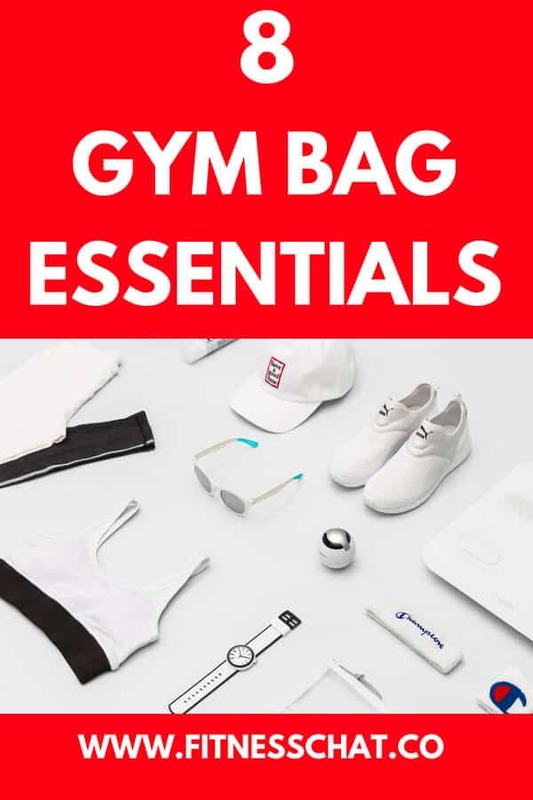 And so should you never step on to the gym battlefield without your gym bag essentials. Yep, the gym is a combat zone. A gym is a place where you don’t compete with anyone else but yourself; it is the place where you fight YOU versus YOU. A gym is a place where you fight to be stronger, fitter and healthier than you currently are. And to win that fight you have to have the correct gym bag essentials. I am assuming that you do have a gym bag and workout clothes already. No? No worries. I have got your back and will help you sort that problem out in a jiffy. There is also this post here with stylish workout outfits on a budget because you NEED workout clothes to hit the gym. The gym bag has to serve its purpose by fitting all your essentials that I shall list down below in a moment. 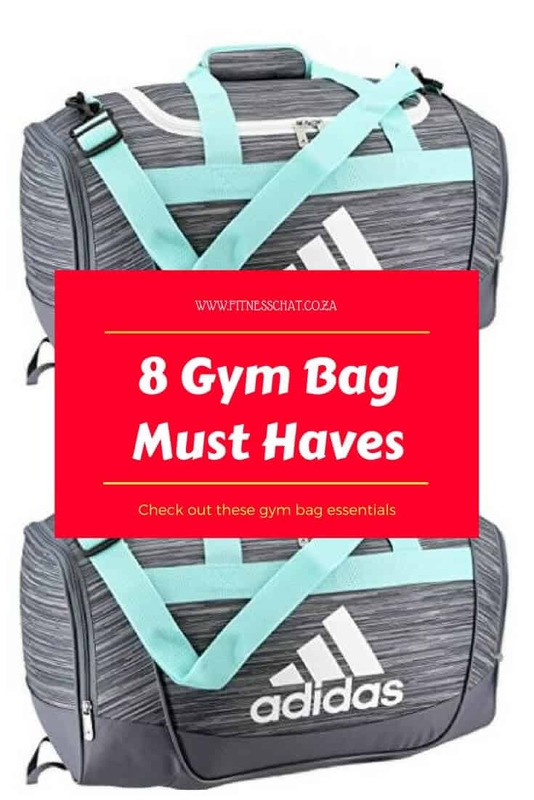 Shop for a bag that is made from durable material and is large enough to be used outside of the gym (school, overnight trips) should the need arise. I have been highly impressed by the Adidas Defender II Duffel Bag which comes in 23 different colours. The bag features two side pockets that can be used to hold shoes or a water bottle, a padded shoulder strap, and an inner pocket. The Adidas Defender comes in three different sizes- small, medium and large ( just in case you are fond of carrying your entire house with you). 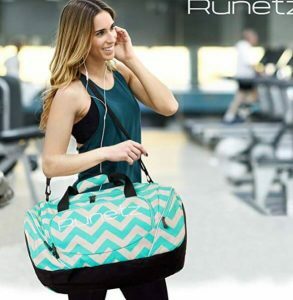 Another gym bag that I love is the Runetz which also can double up as an overnight as well as a gym bag. It comes in large and x-large, and six different colours and patterns. Right! 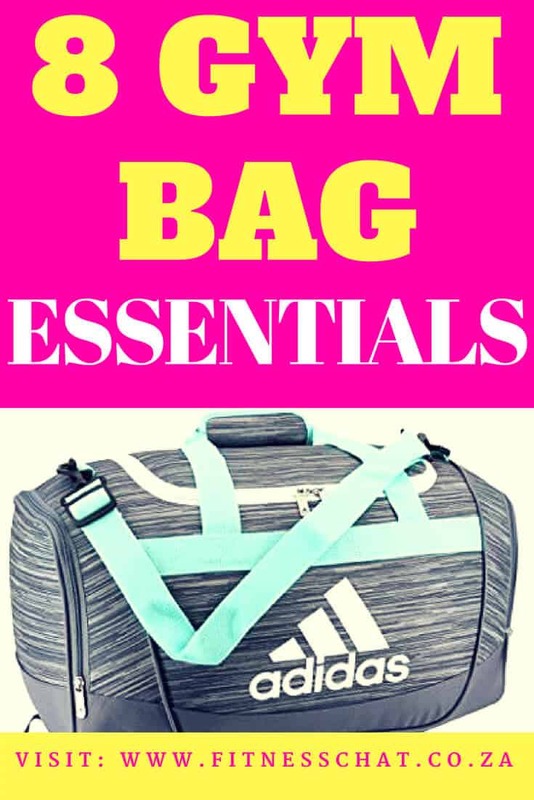 Now that we have the gym bag out of the way, let’s begin with our gym bag essentials checklist. A fitness tracker is a workout bag essential because it will in a way challenge you to be a little bit more active than you normally would be without one. Plus a fitness tracker will do other nifty things like monitor your heart rate and track the number of calories you will be burning all day long. When it comes to durability and accuracy the Garmin Vivo 3 is the best bang for your buck. It features, waterproof (yes, you can swim with it) GPS Integration, a comfortable, strong and sleek armband, and a feature that monitors how you handle stress, and notification of calls, email, and social media. The Garmin vívo 3 also tracks steps, calories, distance, and floors climbed, and most of all, it will not fall apart after weeks of use. The vívosmart HR is available on Amazon in two colours- black, and the beautiful white colour. You need to carry a clean towel to wipe away sweat from your body. It’s also part of gym etiquette that you wipe off your sweat from any of the gym equipment. A sweat towel is one of the essentials for the gym bag that should be changed as often as possible preferably at the end of each workout day. Sinland’s multi-purpose microfiber gym towels come in a set of three and dry three times faster than a traditional towel and are great to have for the frequent changes. Battery life and of course, the price tag. At $28.99 on Amazon, SoundPEATS Wireless Bluetooth Headphones are easy on your wallet and they tick almost all the boxes above. If however, you are willing to spend more, then the Jaybird X3 Sports Bluetooth headsets, available in four different colours are your go-to essentials for your gym beats. Hydration during exercise is important and that is why you need a refillable water bottle for your workout bag. Steer clear away from cheap sports bottles which tend to have that awful plastic smell no matter how much you wash them. I love the Fast Flow water bottles because they are leak proof and best of all, are non-toxic. No list of gym bag essentials should be ever considered complete without deodorant on it. Smelling funky after an intense workout session is a no-no. Keep it fresh and stuff your gym bag with your favourite deodorant. Years ago, I used to work in a gym at the front desk and one of the many complaints we used to have, was members having had their items stolen in the gym lockers. After investigating, we used to find that 95% of those reports involved members who just casually left their valuables in the lockers without locking them because they didn’t bring along their own padlocks. Not everyone has good intentions at the gym, you must always lock away your stuff. Chances that you will be occasionally hungry after exercising are quite high. Your gym bag must have healthy snacks that you can reach for before or after a workout. The Optimum Nutrition Protein Cake Bites, particularly the red velvet flavour are to die for. I have also heard many wonderfully yummy things about the ONE Protein Bars. 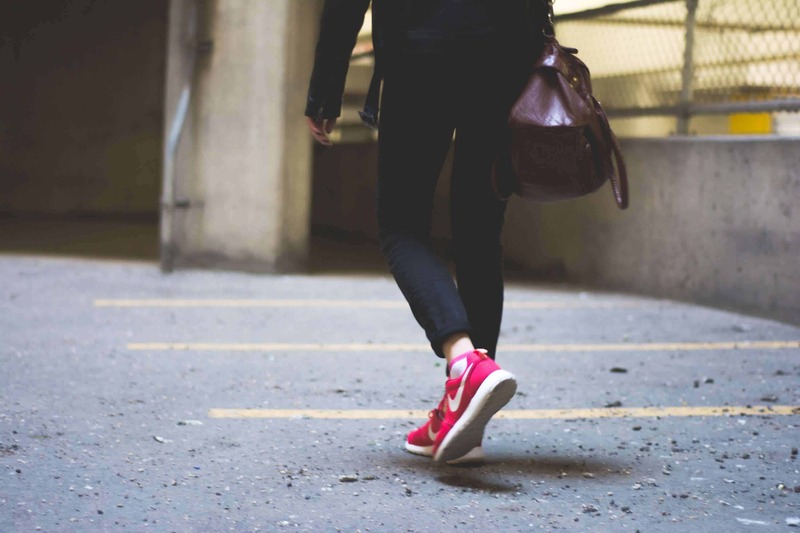 If you workout at the gym in the morning before getting to the office, you will need to pack flip-flops as well as your toiletries. 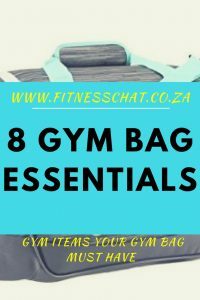 What are some of your gym bag essentials that I haven’t mentioned here? Share in the comments below. A good gym bag is SO important. It’s no fun when you’re walking along and the strap breaks. Thanks for the awesome recommendations about what to put inside it, too. I’ve seen so many people with those fitness trackers. They must be cool to have. I may get me one this year as I do need to up my fitness game!! Vitamins are not mentioned . It’s good to keep some extra vitamins on hand. It helps support the immune system and helps neutralize free radicals in the body. I am so terrible when it comes to my gym bag. I got to a yoga studio that supplies everything from towels to mats. So I am always forgetting something. It’s gotten to the point where I keep a water bottle and hair elastics in the car because I’ll forget! I really should invest in a proper gym bag! These are all great choices, and things I’d totally consider, if I had a gym membership and needed a gym bag. I do use quite a few of these things at home when I workout. OMG, I’m totally obsessed with my FitBit. I wear it even when I’m not going to the gym — I’ll take it off when I know I’m just going to be sitting for a while, but I love seeing my daily steps & my sleep quality!! When I’ve gone to the gym in the past, I just carried everything in my hands: towel, water bottle, and my membership card. I feel having a bag will be a great way to easily transport my belongings! I do have all of these, however I must say I need a new gym bag for this year. I like those deodorant wipes you can get from Pacifica, they are great for your gym bag! I guess I better start working out just for the cool essentials! seriously, this is a great list! I need to get a new gym bag. I have no idea where mine has gone to. I also don’t really remember what it looked like so I think it has been gone for a very long time. These are all necessary gym bag essentials. I can’t live without my Apple watch in the gym. This is such a useful list for gym essentials. I’m loving the idea of ‘fitness tracker’ as I mostly depend on the ones on gym machines and at times end up with improper results due to the machine not working properly. I recently bought a wireless headphone and love that you added that to the list as it’s such a savior. I love the array of gym bag essentials you posted. I started going to the gym again this month and my essentials have almost everything you listed, but I also included a locker key and lock. Happy New Year! I don’t go to the gym, but I know there are definitely important things that you need to pack in order to have a good experience there. When I use to attend a gym I always made sure I brought enough water, a clean towel, and hand sanitizer. I love that Adidas gym bag! I need to get me a pair of those wireless headphones because my cords always get tangled.